This review is for any of you out there that are hat lovers. 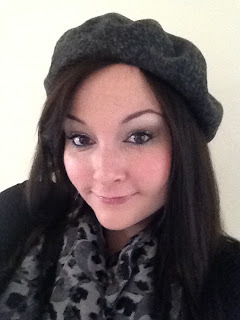 This review is from Dorfman Pacific and I was sent their Classic Parisian Beret for review. I choose the Charcoal color. Dorfman Pacific’s DPC AUTHENTIC brand presents style 50 for the new season in 19 colors. It is 10 and ½ inches and made from soft wool. The one size fits all feature makes it the ideal self or gift purchase and it retails for $25. This comes in 12 colors Black, Maroon, White (off white), Chocolate, Charcoal, Camel, Olive, Cobalt, Forest Green, Light Blue, Pink and Red. It looks great on as modeled by my friend who loves hats Ashley. She said that she thought it was super cute not super stretchy but comfortable warm and easy to move. 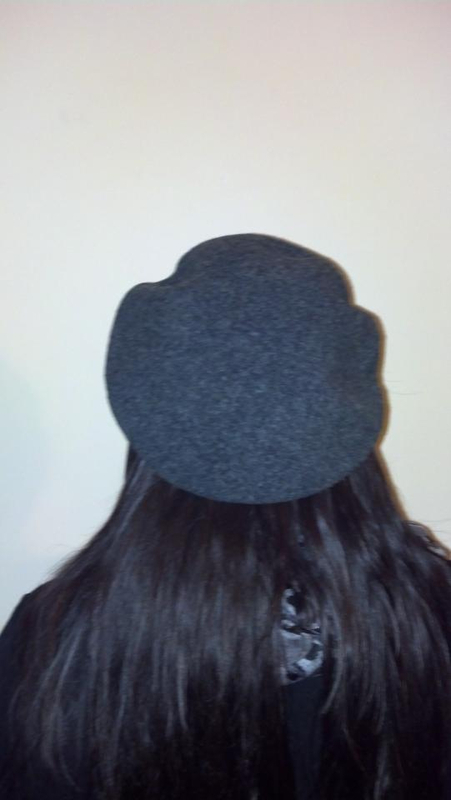 It looks super cute on her too here is a back shot of the hat on.